YEREVAN, Armenia – On June 10, the American University of Armenia’s (AUA) Teaching English as a Foreign Language (TEFL) program and Center for Research in Applied Linguistics (CRAL) held the Sixth Student Research Conference for Graduate and Undergraduate students in linguistics and applied linguistics, with the attendance of over 100 participants. Per the tradition of the annual Student Research Conference, this year the conference was planned and organized by a team of MA TEFL students. 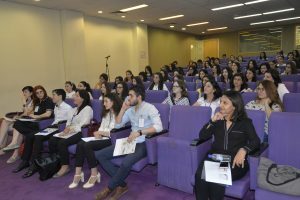 The coordinators of this year’s conference were Adena Dehbashian, Arus Kcheyan, Anna Avetisyan, Milena Hovhanissyan, Armine Petrosyan, and Margarita Gevorgyan. 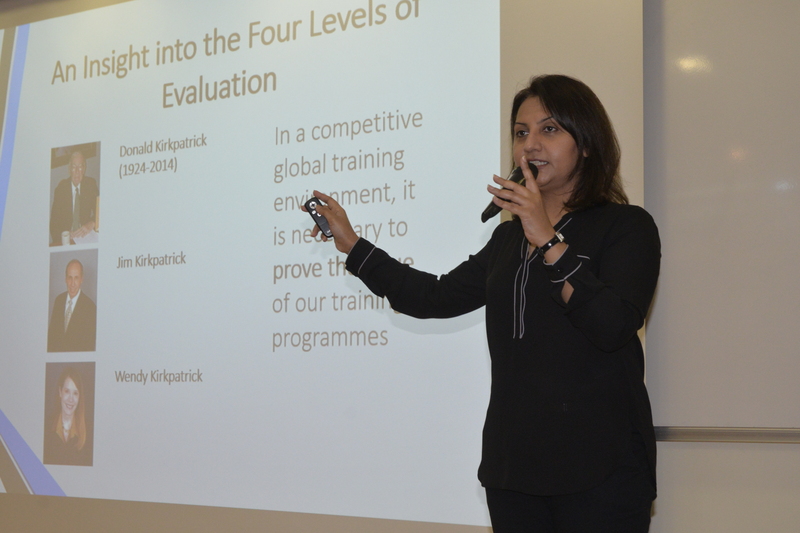 The invited keynote speaker, Dr. Naziha Ali Raza, TESOL Arabia President (2015-2016), gave an inspiring talk on evaluation as a significant tool that assists teachers in validating their worth and determining whether their teaching processes are on track. During the professional development workshop, Dr. Naziha Ali introduced the concept of Extensive Reading and why it is critical in English language skills development. The participants learned to set up an extensive reading program in their own context, to look for resources, to evaluate and sustain the program, and to look for collaboration and support. In addition, recruiters from leading educational institutions and organizations attended the career fair that was held in the framework of the conference. Hence, the participants had an opportunity to meet with potential employers and discuss employment opportunities.